In general, the Occupational Safety and Health Act of 1970 (OSH Act) applies to all employers and their employees in all 50 states, the District of Columbia, Puerto Rico and all other territories under federal government jurisdiction. Coverage is provided either directly by the federal Occupational Safety and Health Administration (OSHA) or through an OSHA-approved state occupational safety and health program. The OSH Act assigns to OSHA two principal functions: setting workplace health and safety standards, and conducting workplace inspections to ensure that employers are complying with those standards. OSHA standards may require that employers adopt certain practices, means, methods or processes reasonably necessary to protect workers on the job. Employers are responsible for becoming familiar with the standards applicable to their establishments, eliminating hazardous conditions to the extent possible, and complying with the standards. Compliance may include ensuring that employees have and use personal protective equipment when required for safety or health. Employees must comply with all rules and regulations applicable to their own actions and conduct. OSHA regulations also impose on employers recordkeeping, reporting and posting requirements. Employees are granted several important rights by the OSH Act, including the right to complain to OSHA about safety and health conditions in their workplace and have their identity kept confidential from the employer, contest the time period OSHA allows for correcting standards violations, and participate in OSHA workplace inspections. Employers are required under the OSH Act to provide their employees with a workplace free from recognized hazards that are causing, or are likely to cause death or serious physical harm. Employers must also comply with all applicable OSHA statutory requirements, standards and regulations. 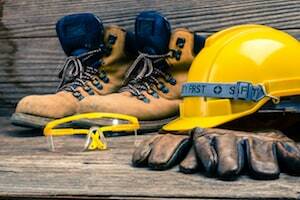 If you are a business owner or employee dealing with a potential OSHA violation, we can help. Contact the Atlanta workplace health and safety lawyers at Fidlon Legal for an initial case evaluation.